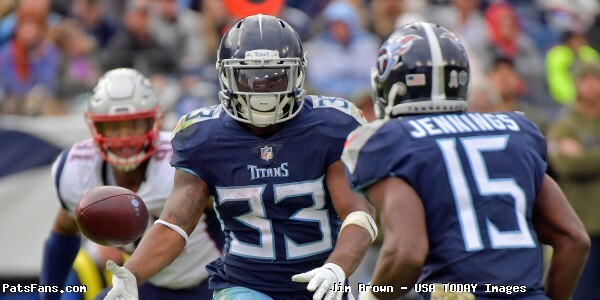 Following the Tennessee Titans 34-10 victory over the New England Patriots, running back Dion Lewis turned some heads with some emotional postgame comments about his former team. Lewis didn’t stop there, on his Twitter account he also shared some “trolling” tweets that contained laugh emoji’s and .gifs that were seemingly directed towards the Patriots. So what caused Lewis’ surprise criticisms of the “cheap” Patriots? According to multiple reports, his strained relationship with the team wasn’t new and began in 2017 training camp. Come the playoffs, however, Lewis' touches were down. The Patriots were never serious contenders with him in free agency. He's a guy that always carries a chip on his shoulder. It was like that when he came to NE and it's like that now that he left. With a chip on his shoulder, Lewis wound up leading the Patriots with a career-high 896 rushing yards after being originally told he wouldn’t be guaranteed a spot that summer. He became the top back by Week 5. However come the 2017 playoffs, his usage dramatically dropped following the return of Rex Burkhead from injury. In Super Bowl LII, Lewis logged just 39 rushing yards and had zero receptions. Lewis would sign a four-year, $19.8 million deal with Tennessee during the first week of free agency in March 2018. The Patriots were never serious contenders to sign him. During his time in New England, Lewis was a valuable asset to the teams success, the Patriots went 32-3 when he played and 13-7 when he didn’t. Unfortunately in the end, Lewis wanted to stay, and the Patriots wanted to part ways. Although Lewis was ultimately rewarded for his efforts, it wasn’t by the team he hoped. This entry was posted in 2018 Patriots Regular Season, Patriots Commentary, Patriots News, Patriots Twitter and tagged Dion Lewis, James White, Mike Gillislee, Rex Burkhead on November 12, 2018 by Robert Alvarez. 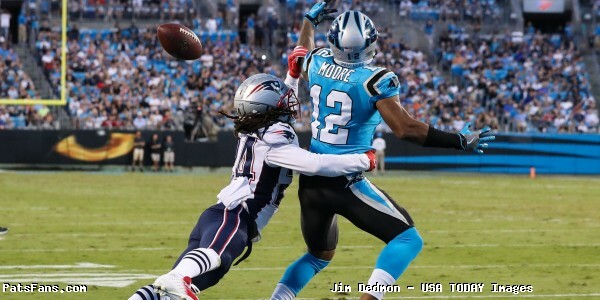 The New England Patriots entered Thursday nights preseason matchup with the Carolina Panthers for the final “dress rehearsal” before the opening of the 2018 regular season. 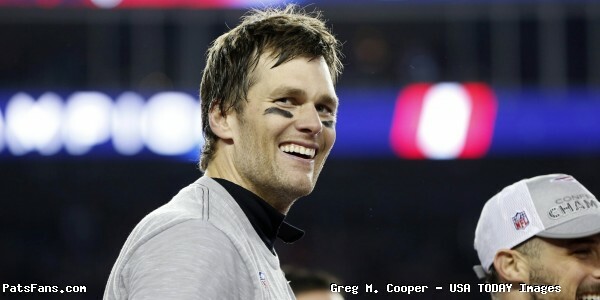 Before the game, it was reported that quarterback Tom Brady was expected to play “extensively” and into the second half. Tom Brady is expected to play extensively in tonight's game vs the Panthers. It should give him more opportunity to get familiar with his WR corps. TB12 and the QB crew run out. In the first quarter, the Patriots offense struggled to find the red zone on their few drives, but the defense made big plays and held the Panthers to two Graham Gano field goals. In the second, wide receiver Julian Edelman showed of his recovery progress as he returned to his old ways of being clutch on third down. In what could be a sign of things to come in 2018, Brady connected with Phillp Dorsett following an audible at the line. The drive led to the Patriots first points of the game, a 27-yard field goal by Stephen Gostkowski. Unfortunately despite Brady’s solid first half, the team was unable to get much going in the red zone and found themselves down a pair of field goals heading into halftime at 9-3. It’s 9-3 here at halftime. I’ve got a full seat, but I really only need the edge. As the second half opened, things got a little weird for returner Cyrus Jones, who’s jersey looked like some Spider-Man webbing. The Panthers meanwhile, extended their lead to eleven following a 7 play 50 yard drive capped off by a Taylor Heinicke one yard run. 15-3 Panthers with 9:09 remaining in the third. Gano would tack on a 47 yard field goal to up the score to 18-3 after three. The Patriots offense remained silent. In the fourth, the Panthers broke it open when backup quarterback Garrett Gilbert found Mose Frazier for a six yard touchdown. 25-3 Panthers. With just three minutes remaining in the game, the Patriots delt with another injury situation as running back Jeremy Hill limped off the field following this play. Hill appeared to be okay in the locker room after the game. Jeremy Hill, who was shaken up late in the game, said he’s “good.” Didn’t appear to be limping in the locker room. With the game winding down, the Patriots finally found the end zone on a Mike Gillislee two yard run, he would then convert the two point conversion. 25-14 Panthers and that would be how it would end. The Patriots conclude the 2018 preseason with a trip to the Meadowlands to take on the New York Giants next Thursday night at 7pm. Hand the ball to your O-Lineman. Belichick: We weren't able to accomplish much tonight. We didn't really play well in all 3 phases of the game. Reporter: What were some specific things you thought you did well tonight? This entry was posted in Patriots Photos, Patriots Twitter, Patriots Video and tagged Adam Butler, Chris Hogan, Cyrus Jones, Eric Rowe, Jeremy Hill, Julian Edelman, Lawrence Guy, Mike Gillislee, Patrick Chung, Phillip Dorsett, Ralph Webb, Stephen Gostkowski, Stephon Gillmore, Tom Brady on August 25, 2018 by Robert Alvarez. We’ve been posting our free agent profiles for the Patriots in the offseason of 2018 as we’re trying to come to grips who will return and who won’t. This post will look at who may not return this year. It is interesting to note via our friend Miguel @Patscap, that the Patriots have just about $13 million dollars (13.14 to be exact) to work within the salary cap this spring. That isn’t nearly enough. So what do they do? Well for starters, they’ll approach a few players to re-do their contracts and convert some of that money into signing bonuses so that it eases up some of their cap hits on the team this season. But they’ll also be looking to cut their ties with some players or ask them to take significant pay cuts if they want to return. In no particular order here are some Patriots players who may get released in a salary cap scenario. TE Martellus Bennett: Bennett carries the biggest cap hit of all of the players listed here. After he signed with Green Bay last offseason, he was suffering from a shoulder injury that required surgery and Bennett was at peace with the decision and planned on announcing his retirement. But the Patriots called and he returned to New England where he performed very well in 2016 and was instrumental in helping the Patriots win Super Bowl LI. But soon after he hurt his hamstring and was placed on IR after just a few weeks with the Pats. Bennett may take all the guesswork out of the equation and decide to retire. If he does not, then the Patriots can ask him to take a big pay cut or just release him. If he’s released, that will save the team, $6.1 million dollars in the salary cap. TE Dwayne Allen: Allen came over to the team after Bennett left last year in free agency. Allen was a very good blocker, which has always been his strength but really struggled in the passing game. It wasn’t a lack of effort that slowed him but he was really laboring out there in the passing game. His struggles were so great that it was the reason the Patriots brought back Bennett late in the year, to begin with. With Gronk healthy last year, that limited his targets but even when the big man was out, he barely registered in the passing game. Could the team bring him back in 2018? Absolutely. But at $5,000,000? That is really doubtful. This could be a scenario where the team just decides to move in another direction and cut their ties with him. That would be another $5,000,000 in savings. 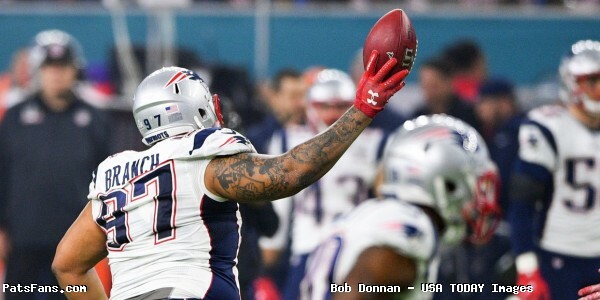 DT Alan Branch: My, oh my what a difference a year makes. Branch, since coming to New England has played some of the best football of his career. Fresh off of the win in Super Bowl LI, he was given a two-year deal and it was hoped that he’d live out that contract and give the team that immovable object inside that he’s done so well. But when big men, such as Branch go, their game goes really quickly. Branch started the season slowly, which wasn’t unusual but he never caught on to where he was in the past. When he did play this season, he was often a shell of his former self. Granted he was dinged up for a good part of 2017, but at 33, his best days are probably behind him. Branch was a healthy scratch for this season’s Super Bowl along with Malcolm Butler, how crazy is that after the big roles each has played. Cutting Branch would save the team $3.55 million, this move is sadly, going to happen. LB Shea McClellin: I liked what McClellin brought to the table in 2016, he could do a little bit of everything. He could rush the passer, cover in the secondary and act as a middle linebacker and support the run when needed. His versatility was such that they asked to do several things and he did them well. But he suffered a concussion, a pretty severe one in training camp and was placed on IR at the beginning of the season. The team brought him back midway thru the year and while practicing during his 3-week return window, he suffered a setback and was lost for the year with yet another concussion. With a lack of pass rushers, the Patriots could opt to let him come back and work his way back into the lineup. But long-term health concerns for the player trump the team’s needs. They should just encourage McClellin to get on with retirement and enjoy life. If they cut McClellin, they’d save. $2.1 million in cap space. 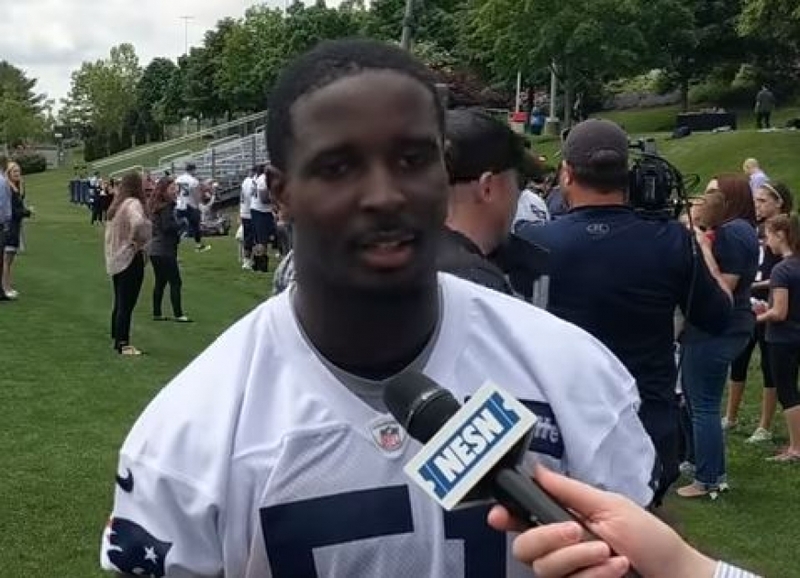 LB David Harris: Harris was released by the Jets and the Patriots scooped him up last year. Harris was the consummate professional and approached every day like he was the starter and worked hard. But he obviously lost more than a step and couldn’t keep up with the flow of the game any longer. Harris played very sparingly (180 snaps) for the season while appearing in 10 games. With the lack of depth at linebacker, that had to be crushing for the proud veteran. He only appeared against run-heavy teams on early downs but did show he still brought a pop in the trenches. But his lack of speed was the reason he too was a healthy scratch for the Super Bowl. If Harris is cut, the savings for the team will count $2.1 million against the salary cap. RB Mike Gillislee: Gillislee came over from the Buffalo Bills last season and began the season as the Patriots’ lead back. While most look upon his year as a bust, it didn’t have to do with his success as a runner as much as it did his lack of skills in the passing game. 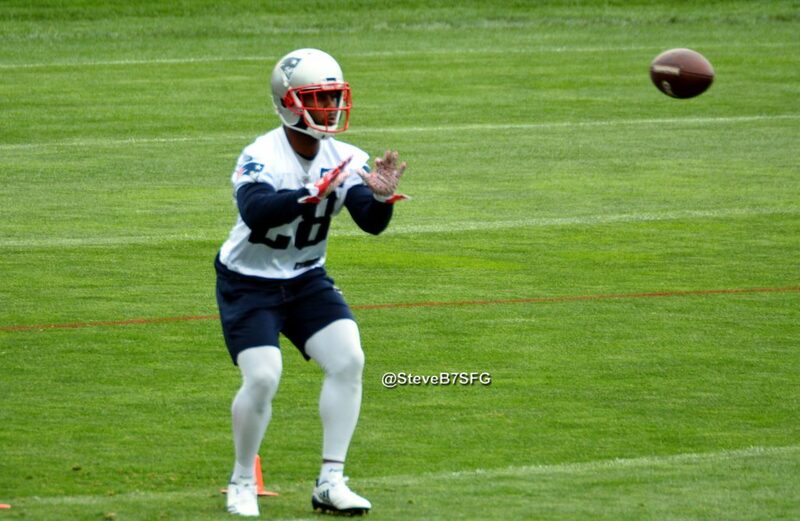 Once the team decided to go with Dion Lewis and Rex Burkhead, Gillislee was pushed into being a healthy scratch. Lewis and Burkhead gave the team the run/pass option whereas Gillislee was basically a threat just to run so the coaches decided on a switch. And the offense was much more difficult to stop. Cutting Gillislee would save the team $2.1 million in salary cap savings. But both Lewis, Burkhead and backup Brandon Bolden are all free agents. That leaves Gillislee and James White as the only pure running backs on the roster. They could opt to hold onto him for that reason. Or they could cut him and use the saved money to bring back Lewis or Burkhead. These cap savings would push the Patriots up to the $30,000,000 dollar salary cap cushion, due to the Top 51 players rule in the salary cap. But that scenario is a much better one than say $13.14 million. And of course, for every player cut, another has to be there to take his place. Two young players who we saw very little a year ago are top draft choice Derek Rivers and UDFA Harvey Langi. It will be interesting to see if they can carve out a role for themselves this year in camp. We’ll have more on them and others in the upcoming weeks. This entry was posted in NFL Commentary, Patriots Commentary, Patriots News, Patriots Rumors and tagged 2018 Patriots Free Agency, 2018 Patriots offseason, 2018 Patriots season, Alan Branch, Bill Belichick, David Harris, Dwayne Allen, Martellus Bennett, Mike Gillislee, New England Patriots, NFL, Shea McClellin on February 15, 2018 by Steve Balestrieri. Below is a compilation of the best sights and sounds from the first day of Super Bowl week across New England Patriots social media. A send-off rally, a trip on #AirKraft and a wild Opening Night. Did Bill Belichick get a chance to see Tom Brady’s documentary, “Tom vs. Time”? Tom Brady refers to Robert Kraft “as like a second father” to him. “It’s a great pleasure playing for the Kraft family,” he says, also noting the influence the late Myra Kraft had on his life. What does Dion Lewis remember about Philadelphia? "Ernie is a guy who doesn't say much, but he's a big part of what we do." This entry was posted in 2017 Patriots Postseason, Patriots Photos, Patriots Twitter, Patriots Video, Super Bowl LII and tagged Bill Belichick, Brandin Cooks, Danny Amendola, David Andrews, Dion Lewis, Duron Harmon, James Harrison, James White, Joe Thuney, Matthew Slater, Mike Gillislee, Super Bowl LII, Tom Brady on January 31, 2018 by Robert Alvarez. The New England Patriots entered Week 16 looking to maintain their standing atop the AFC as the number one seed, but they had to get past a Bills team that came into last Sunday’s game still in the hunt for a wild card spot. For the second time this season, neither the Patriots or Bills could get much going in the first quarter. As the lone scoring game from a Stephen Haushka 41 yard field goal to give the Bills a 3-0 lead after one. To open the second, Stephen Gostkowski hit a 21 yard field goal to knot the game at 3, but when the Patriots got the ball back two drives later, quarterback Tom Brady made a very uncharacteristic decision, and allowed his first interception return for a touchdown for the first time since lasts years Super Bowl. Jordan Poyer made the play and the Bills took a surprising 10-3 lead. Tom Brady has thrown an interception in 5 straight games, which ties the longest streak of his career. Needing a response, Rob Gronkowski found the end zone with an incredible catch for a touchdown that again tied the game up. 10-10 midway through the second quarter. The Brady connection to Gronkowski was the 75th time both hooked up for a touchdown, fifth all time among quarterback to receiver duos. Both the Patriots and Bills would trade another field goal each and would go into the half tied at three, but not without another officiating controversy. Despite the calls of “cheating”and “fixing” by outraged Bills fans following the ruling, their team managed to keep the game within reach heading to the locker room. In the third quarter, both the Patriots and Bills again traded field goals to up the score to 16-16 as Bills running back Lesean McCoy broke ankles on his way to setting up red zone opportunities. Seeking to get some space, Brady continued to find Gronkowski, which helped setup the Patriots second touchdown of the game, by former Bill Mike Gillislee. Through three quarters 23-16 Patriots. In the fourth quarter, the game shifted to become the Dion Lewis show, as the Patriots began to pull away from the Bills. Brady found Lewis from 12 yeards our for his 30th touchdown pass of 2017, which extended a record for most all time by a quarterback over the age of 40. It was also the seventh time in Brady’s career with 30 plus touchdown passes. 30-16 Patriots. Lewis again would find the end zone with about four minutes to play in the fourth, a four yard run extending the lead to 37-16 and all but closing the door on any Bills upset. Dion Lewis is the first Patriot to have 100+ yards rushing, a rushing TD, and a receiving TD in the same game since Corey Dillon did it on December 20, 2004 at Miami. On a day that would later earn him AFC Offensive Player of the Week, Dion Lewis ran for a career high 129 yards to go with his two scores. This entry was posted in Patriots Commentary, Patriots News, Patriots Twitter, Patriots Video and tagged Deatrich Wise Jr., Julian Edelman, Kyle Van Noy, Mike Gillislee, Shea McClellin, Tom Brady on December 28, 2017 by Robert Alvarez. Newcomer Mike Gillislee is still growing in New England’s offense, but he’s got one growing pain that still seemingly remains a challenge for him. For whatever reason, facing 3rd-and-1 hasn’t quite been an automatic for this group of running backs so far this season, with Gillislee’s name standing out on the stat sheet. Gillislee has been the running back who has struggled the most this season, with the running back having carried 6 times for 6 -yards on 3rd-and-1, while converting just half of his attempts. The Patriots faced 3rd-and-1 three times on Sunday, with Gillislee’s number being called on two of those attempts. Gillislee picked up one of them, but he was stopped for no gain on another and it forced them to go for it on fourth down. The good news is, they went back to him on that attempt and thanks to a terrific block by James Develin, Gillislee picked up eight yards on the play. However, that was only Gillislee’s first successful fourth-down attempt. He had previously been stopped for no gain on two other rushes on 4th-and-1. Meanwhile, Tom Brady had the other 3rd-and-1 attempt Sunday, picking up two yards to move the chains. Overall on 3rd-and-1 this season, he’s been stopped for a loss once, and for no gain twice, making him 3-of-6 on the year. His carry for a loss came down on the goal line last week against Atlanta. James White has just one attempt, which was also for no gain. Taking another look where picking up a yard has been an issue, down on the goal line has also been a struggle for Gillislee. He’s had four total attempts and was stopped for a loss once (his carry last week) and stopped for no gain twice, with one successful carry for a touchdown. Dion Lewis has one attempt on the goal line, which saw him score against against the Jets. Through eight games he has 21 carries this season where he’s failed to pick up a yard, with seven carries for a loss and fourteen for no gain. But that total is out of 98 carries, which to provide some context there, he’s actually gotten better. Fourteen of those came over the first four games, while only 7 of those have happened in the last four. LeGarrette Blount, was stopped for a loss or no gain 35 times at this point last season, but he also had 44 carries of at least 1-2 yards, which is significantly higher than Gillislee’s 19. He also had 14 rushes of over 10 yards, which includes two of 20+ and one of over 40. Gillislee has yet to break one off a big run of 20+. Lewis is the only player to do that this season, having gained over 20 on one (a 25-yard gain against Atlanta) and another over 30 (a 31-yard run against the Buccaneers). But the bigger issue is the situational carries where Gillislee hasn’t quite reached a point where he can be counted on to pick up a yard when the team needs it most. With the Patriots’ offense still trying to find some consistency thanks to injuries, they’re going to need players to move the chains and to get into the end zone when the opportunity presents itself. Needless to say, Gillislee obviously factors into that equation and it’s a weakness that hopefully he’ll improve on as he continues establishing his role in New England’s ground game. For now, it remains something to watch over the final half of the season. This entry was posted in Uncategorized and tagged 2017 Patriots Season, Dion Lewis, James White, Mike Gillislee, Tom Brady on October 30, 2017 by Ian Logue. Patriots and Texans Key Matchups, Who Has the Razor’s Edge? This week’s game will be televised by CBS and can be seen locally on WBZ-TV Channel 4 in Boston. 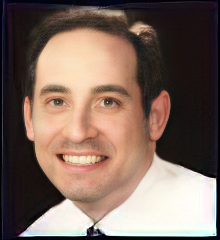 Ian Eagle will handle play-by-play duties with Dan Fouts as the color analyst. Evan Washburn will work the sidelines. 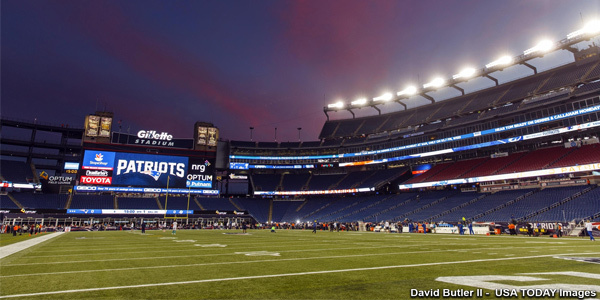 The game will also be aired on the Patriots flagship radio station 98.5 The Sports Hub with Bob Socci and Scott Zolak on the call, produced by Marc Capello. The Patriots (1-1) were back on the winning track with a 36-20 thumping of the New Orleans Saints on the road. Tom Brady was laser sharp throwing for 447 yards as New England rolled up 555 yards of offense. The Texans (1-1) also were back on the winning side of the equation. Led by a 49-yard touchdown run by rookie QB Deshaun Watson and a stifling defense, the Texans beat the Cincinnati Bengals on Thursday Night Football 13-9. The Patriots and Texans will be meeting for just the 10th time as Houston entered the league in the 2002 season. The Patriots hold an 8-1 advantage in these contests while holding a perfect 4-0 advantage at home, including a 34-16 playoff win over the Texans in Gillette in January. 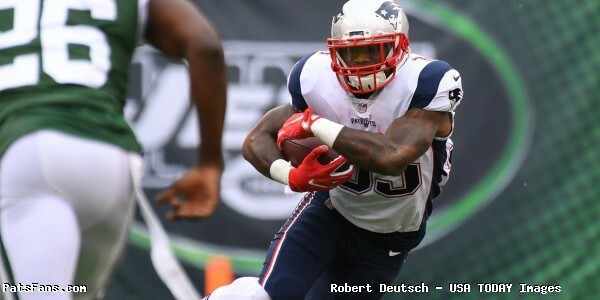 The Patriots running game made some big changes this season bringing in Mike Gillislee and Rex Burkhead to go along with James White, Dion Lewis and James Develin. Gillislee has been productive scoring four touchdowns in his first two games but Burkhead is banged up and may miss this one. The Texans front seven is very, very good with one of the best in the business in JJ Watt to go along with Whitney Mercilus, Benardrick McKinney, and Jadeveon Clowney. After a Week 1 aberration, they were back to being their normal stout self against the run, doing a bang-up job of stuffing the Bengals running game. The Patriots will have to do a good job of mixing things up to keep them off-balance this week but it going to be tough running consistently on this group. Look for the backs to make their presence felt in the passing game. The Patriots passing game was clicking on all cylinders last week against the Saints despite being severely shorthanded with only three healthy wide receivers. Brady used his running backs to great effect and this week will be another case of that, although the team will probably get Danny Amendola back which will be a huge help in the slot. Houston has the pass rush which can rush either three or four and still get to the QB. Watt, Clowney, and Mercilus are outstanding at getting home and keeping #12 upright will be a huge test for an offensive line that wasn’t great a week ago. Brady and NE get the slightest of edges here. They’re at home and Houston’s CBs are banged up. Both Jonathan Joseph and Kevin Johnson left last week’s game. Joseph should play this week but Johnson will be out a few weeks. 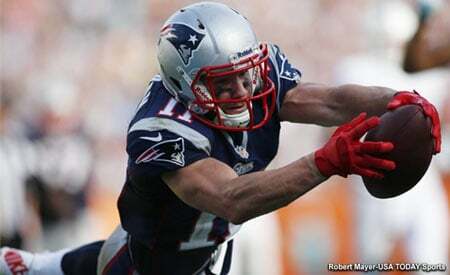 Look for Brady to force the linebackers into coverage with the running backs this week to keep that pass rush at bay. This is why they picked up Brandin Cooks. He could be a big factor here as he’ll face single coverage at times this week and they have to pick their spots and make them pay. *Interesting tidbit* Houston hasn’t allowed a 300-yard passer in 30 games. Lamar Miller remains the workhorse for the Texans running game. They also have the good-looking rookie RB from Texas D’Onta Foreman who shined in the preseason game against the Patriots. Alfred Blue may be back for this one but the issue has been the offensive line play. They’re banged up and not opening holes. Watson the rookie QB could be the X-Factor in the running game this week. The Patriots were much better stopping the run last week allowing just 81 yards on the ground and 28 coming on the final play of the game in garbage time. Dont’a Hightower was back at practice on Wednesday so he has a chance to play. But David Harris, who played just one snap in New Orleans could be a bigger factor here this week. Elandon Roberts and Kyle Van Noy had a much better game in Week 2 along with the defensive line which held firm in run support. I’m looking for New England to try to stop the run and force the game into Watson’s hands throwing the football. If they can do that, with his depleted weapons around him, then they’ll be in good shape. Tom Savage’s turn in the barrel lasted all of one-half as Bill O’Brien went to the talented rookie QB Watson who came on in the Week 1 loss in the second half and started last week in Cincinnati. He was missing all three tight ends last week (concussion protocol) as well as WRs Will Fuller and Bruce Ellington and was forced to rely solely on the uber-talented DeAndre Hopkins. He gets Ellington back this week as well as TE Ryan Griffin who caught 50 passes a year ago which will help. Look for them to try some trickery this week to ignite a passing game stuck in neutral. The Patriots secondary continues to have some issues in communication. Specifically the rub-routes and pick plays have been giving them fits. But with a limited cast of weapons at his disposal, they have the advantage in the secondary. Look for them to play Hopkins underneath with a corner with over the top safety help. The pass rush focus this week will on keeping Watson in the pocket and forcing him to throw from there. If he begins making plays with his feet then, they’ll have troubles. The pass rushers, Trey Flowers and Deatrich Wise will have to stay disciplined against a Houston offensive line having some issues. The Patriots’ Stephen Gostkowski missed his first extra point on Sunday but made the rest including three field goals, his kickoffs, however, continue to pin teams deep. Ryan Allen didn’t have the best game a week ago but is solid with excellent directional kicking and hang time. The Texans are going with Kaimi Fairbairn this year as their kicker with solid long-time veteran Shane Lechler as their punter. Houston’s coverage units were awful in 2016 and last week gave up a 33-yarder to Adam Jones. The question for New England is who will return the kicks? 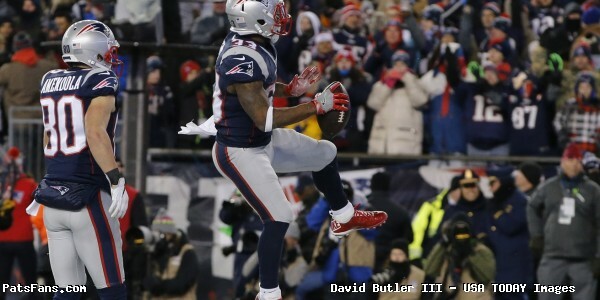 Dion Lewis returned a kickoff for a TD against them in January….he may get the nod again. Don’t Turn the Ball Over: Houston is a very limited offensive team, especially in the passing game. Don’t make their job any easier by handing them a short field and letting their offense get some easy points. In a close low-scoring game, the Patriots, at home have the edge here. Making the Texans move the length of the field to score a small piece at a time will be their plan this week. Start Quickly and Put Pressure on them to Keep Up: Brady and the Patriots have the ability to score quickly and often and getting off to a quick start is a great way of putting pressure on both Houston’s defense as well as their offense.With a limited offensive arsenal, a quick start like last week will be exactly what O’Brien doesn’t want. It will force Watson into throwing and Belichick and Matt Patricia will show the rookie some different looks to try to confuse him and force a turnover or two. Stop Miller in the Running Game and Force the Ball into Watson’s Hands: This has been the Patriots M.O. forever against young QBs. If they can stuff the run and consistently get the Texans into obvious passing situations then they’ll be in good shape. The communication has to be better and they’ll have to bracket Hopkins and take their chances with Braxton Miller and Ellington. If they beat you…so be it. But they don’t want Hopkins having a big game. This entry was posted in 2017 Patriots Season, NFL Commentary, Patriots Commentary and tagged 2017 Patriots Season, Benardrick McKinney, Bill Belichick, Bill O'Brien, Brandin Cooks, Chris Hogan, D'Onta Foreman, Danny Amendola, DeAndre Hopkins, Deshaun Watson, Dont'a Hightower, Houston Texans, Jadaveon Clowney, James White, JJ Watt, Lamar Miller, Malcolm Butler, Mike Gillislee, New England Patriots, NFL, Patriots, Patriots edge rushers, Rob Gronkowski, Ryan Griffin, Tom Brady, Trey Flowers, Whitney Mercilus on September 21, 2017 by Steve Balestrieri. 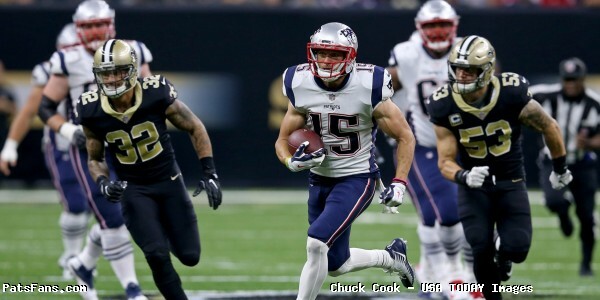 Heading into Sunday’s Week Two matchup with the New Orleans Saints, the New England Patriots were seeking to rebound following the surprising loss at home to the Kansas City Chiefs to open the season. The game featured a rare head to head between two of the games greatest quarterbacks of the new millennium in Tom Brady and Drew Brees, with Brees owning a 3-1 record against Brady coming into Sunday. In the first quarter, the Patriots offense came out firing on all cylinders as for the first time in Brady’s career, he threw for three touchdown passes in the first period, the first of which to new running back Rex Burkhead. Tight end Rob Gronkowski, who was lost for the season after Week 8 a year ago with a back injury, returned to his rightful place on the football field after hauling in his first touchdown pass off the season, with a thunderous spike to cap it off. It was Gronkowski’s 69th career receiving touchdown. With 21 seconds to go in the quarter, Brady connected to Chris Hogan to expand the lead. The quarter closed with an eye popping stat line for the 40 year old quarterback and not a cliff in sight. Tom Brady in the first quarter: 11-for-15, 177 yards, 3 TD, 151.9 QB rating. After one quarter of play the Patriots led 20-3. In the second, Brees got the Saints their first touchdown of the game with a quick drive downfield to cut the lead to 10 at 20-10 and then looked on the verge of scoring again before cornerback Malcolm Butler made a key pass breakup to force a field goal. The Patriots needing a response with the score down to 7 at 20-13, Brady took advantage of the Saints struggling defense and got into position for Mike Gillislee inside the red zone for his fourth rushing touchdown of the season. Did you start @mikescogilly this week in @nflfantasy?? Mike Gillislee with 4 rushing touchdowns, not even 6 quarters into the season. The Patriots would tack on a field goal just before halftime after executing the perfect hurry up field goal unit to get the kick off before the clock expired. The Patriots had 16 seconds and no timeouts remaining to get the job done. Former Patriots wide receiver Dont’e Stallworth shared some insight into just how the team prepares for these types of situations. That's Belichick all day right there. The Patriots work on specifically that situation all the time. No TO's, run off the field for FG unit. The little things get you a perfectly executed play and 3 pts headed into the locker room at the half. That was routine for the Pats. No one simulates game situations in practice better than Belichick. He works on it constantly so that it's second nature when it's live. Perfect field-goal operation with the running clock to end the half. The Patriots practice that almost every single day. At the half the Patriots led 30-13. 2nd career game with 300 yards in the first half. In the second half, the scoring frenzy died down significantly as the Patriots offense could only muster two additional field goals in the third and fourth quarter as multiple pieces to the attack got banged up with injuries, most notably this scare with tight end Rob Gronkowski. What first appeared to be his back, was later clarified as a groin injury, Gronkowski didn’t return as a precaution. 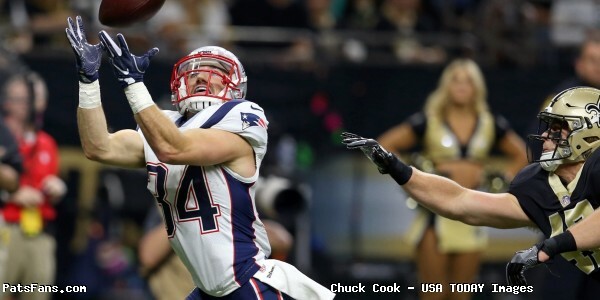 Rex Burkhead, Phillip Dorsett, Eric Rowe and Chris Hogan would also endure minor injuries in the second half. With Dorsett now in tent, only Patriots healthy receiver is Brandin Cooks. The injuries are epidemic at this point. Of course Twitter acted accordingly to the increasing injury news. Despite players dropping like flies, the Patriots defense continued to clamp down on the Saints offense, allowing just one “garbage time” touchdown with five minutes to go in the fourth quarter. The Patriots would overcome the injuries and win in convincing fashion by a 36-20 score as they earned their first win of the 2017 season. Tom Brady joins Warren Moon as the only QBs age 40-or-older in NFL history to pass for at least 400 yards and 3 TD in a game (@EliasSports). Tom Brady sets NFL record for most games with 3 TDs and 0 INTs, breaking a tie with Peyton Manning. That's 52 games. Brady: 30/39, 447 yards, 3 TDs, 139.5 rating. This entry was posted in Patriots Commentary, Patriots Photos, Patriots Video and tagged Chris Hogan, Donte Stallworth, Eric Rowe, James White, Mike Gillislee, Phillip Dorsett, Rex Burkhead, Rob Gronkowski, Tom Brady on September 18, 2017 by Robert Alvarez.